Enter for Your Chance to Win a Magnum Truck Rack! Have you ever wished you could add a rack to your truck, but lacked the funds to do so? Well Magnum is making it easier this summer for two lucky truck owners with our truck rack giveaway. 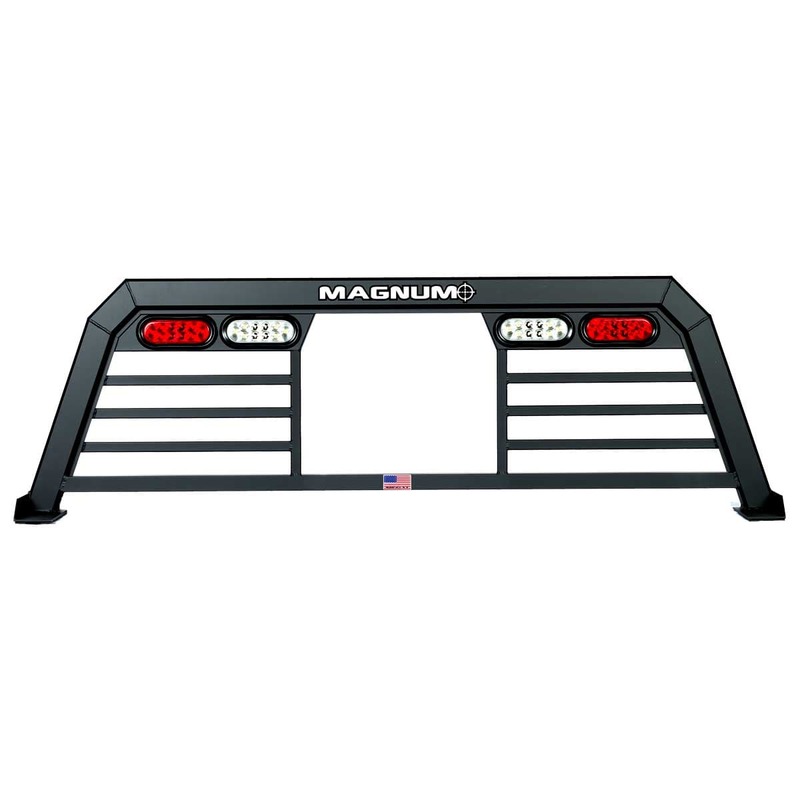 Now you have the chance to win one of Magnum’s signature truck racks in our summer giveaway. The Magnum Dual Truck Rack Giveaway runs until August 12, so you have plenty of time to enter and position yourself to win. Entering is simple. All you need to do is take a creative photograph of your truck. Then, upload it to the Magnum website giveaway page. Once it’s uploaded, use your social media pages to get votes from your friends. On August 12, the truck with the most votes will win a new truck rack. In order to enter, you must be 18 years of age or older. Of course, you may look at the current winner and think, “there’s no way I can get that many votes.” Don’t worry, you still have a chance of winning. Magnum is giving away two truck racks, and the second rack is going to a random winner picked through a name drawing. So, whether you win by having the most votes or win by random draw, you have a good chance of being one of the two winners. The winner will receive their choice of racks between the Low-Pro, High-Pro, Standard or Service Body Rack. Cut outs and hollow point models are available. Which one will you choose if you win? With so many options, you are certain to find one that fits your needs. The Standard Truck Rack is designed for the work truck. It is a versatile rack with a glide track, so you can add accessories easily. It is designed for any job or any cargo, and is considered one of the lightest racks in its class. The Low-Pro Rack has a lower profile for use with smaller trucks. It is designed to be used with a tonneau cover and features all aluminum mig and tig welded construction with an attractive powder coat finish. The High Pro Truck Rack gives the same look as the Low Pro with the higher clearance of the Standard. Ideal for contractors, it is a functional rack that offers a rugged design on the truck. It has the Glide Track System that makes it compatible with the Magnum line of accessories. 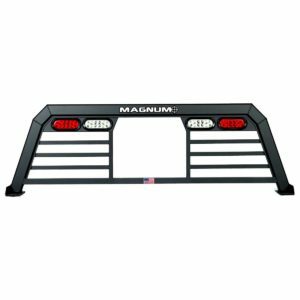 Finally, for the service truck Magnum offers the Service Body Truck Rack. Small and compact, it provides just enough function without adding bulk to the truck. We know you love your truck and would love to be the winning truck in the contest. How can you increase your chances of winning? Here are some strategies. • Share once per day – Sharing your photo on social media too often will cause people to ignore it. Share once per day to get more votes. • Share at different times – If you always share your photo at 5 p.m., you will find that only certain people see it and can vote. To increase exposure, share at different times of the day. That way the person who checks their feeds first thing in the morning can see it as can the person who checks before going to bed. • Be grateful – If people choose to vote or share, say thanks! • Use multiple platforms – Don’t just share the photo on Facebook. Expand the reach to Twitter and other platforms if you can. After you start sharing, keep your eyes on the contest. Magnum is tracking the top 10 entries, so you can easily see where you stand. Remember, entering the contest is completely free. All you need to do is snap and upload a photo of your truck. So go ahead, take your photo and give yourself the chance of winning a Magnum truck rack.